Seven years ago, this was Black Watch men's team at the start of the 2009 -10 FSSL season. Back: Doug Hughes, Pat Beck, Heyden Ayure, Charlie Robinson, Trevor Bernard, Mike Baker, Shawn Duffield, Graham Hillis, Roger Brindley, Dominique Corbin. 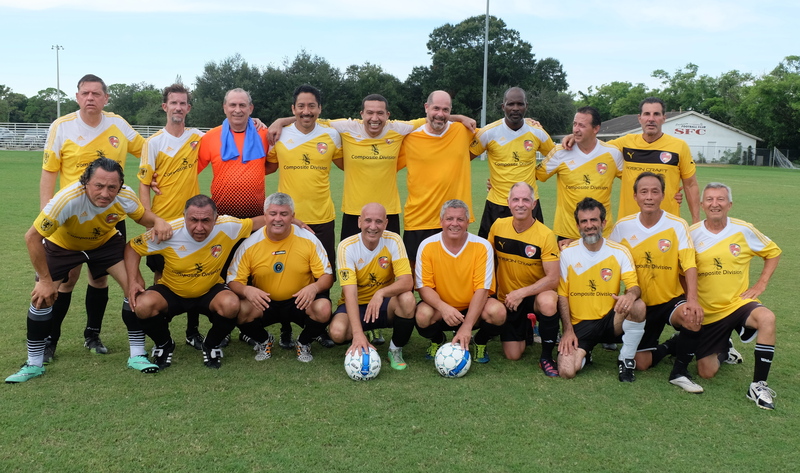 Front: Amado Cardona, Rob Whitely, Juan Pardo, Gonzalo Paez, Stephen Hillis, Frank Deak, George Chaconas. 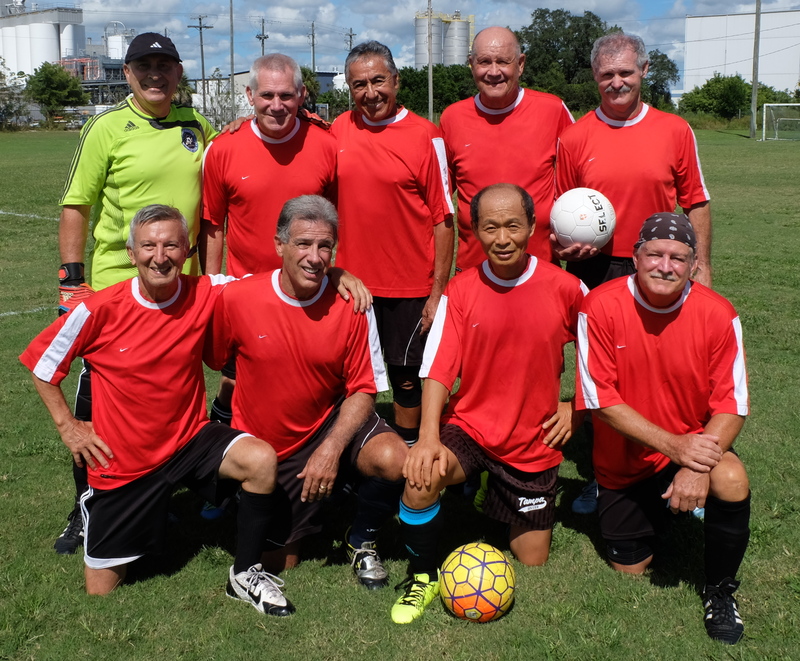 Below are current photos of our current 2016 Chargers Over-50 and Over-60 teams. "Yes, we have gotten that old! ", but "Some of us are still chasing the soccer ball!!"